This one day practical workshop has been developed after observing the success these exercises have in rehabilitating patients. 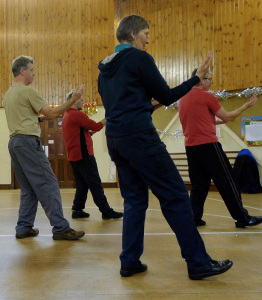 Participants are taught the basic principles of Tai Chi, the benefits and research evidence of Tai Chi for health and rehabilitation, and shown how these mindful, effective and relaxing exercises can easily be integrated into clinical practice. The course is designed to be of interest and practical use for Physiotherapists, Occupational Therapists, Nurses, Clinical Psychologists as well as Assistants, Technical Instructors and students. 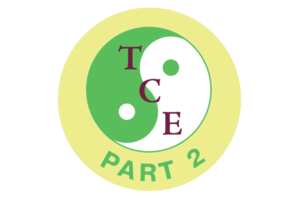 Tai Chi and Qigong instructors interested in working in the health field are also very welcome to attend. During the course there will be demonstration and practice of seated and standing exercises in both individual and group/class situations. The exercises are designed to improve posture and alignment, weight transfer and balance. Participants are encouraged to submit specific case studies prior to the course so that they can be discussed on the day. This course can also be presented at hosted venues where the arrangements are made by the sponsor (usually a course committee at the trust/hospital). If you are interested in this option then please read full details and book here. This course is designed to be of interest and practical use for those who have attended the introductory Part 1 course and have integrated the exercises into their clinical practice and would like to further their knowledge.